Even during a lull, the Indian civil aviation market never ceases to keep one on their toes. The recent weeks have seen three Chief Executives of Indian carriers in the news. First, Aditya Ghosh of IndiGo put in his papers after steering the ship for over ten years, apparently under pressure from the promoters. Amar Abrol of AirAsia India is returning to the parent company in Malaysia, after a mere two years at the helm, again apparently under pressure from the independent directors on the board of the Indian subsidiary. GoAir is taking its former CEO of 2.5 years Wolfgang Prock-Shauer to court. Prock-Shauer is currently the Chief Operating Officer at IndiGo. A historical analysis of CEO roles at Indian carriers shows there has always been significant churn and the trend will likely continue. Why is this the case? Most Indian carriers are promoter run organisations. Jet Airways, Spicejet, GoAir, and Indigo all see professional CEOs dealing with strong promoter “interest” (read interference) in day-to-day operations. Even employees of the “publicly” owned Air India bemoan having to put up with the daily interference with hundreds of bureaucrats and politicians. Indeed, these airlines’ names are synonymous with their promoters. Indigo was the exception but sources indicate that the promoters are now actively involved and hands on. Naresh and Anita Goyal have been actively involved in Jet Airways from inception. 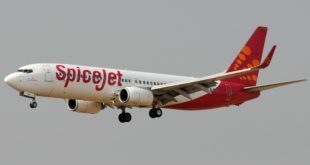 Spicejet, in recent years, has been synonymous with Ajay Singh, a very active and involved promoter. Go Airlines sees owner Jeh Wadia also function as the Managing Director. Each promoter has their own vision for the airline and this may not be always in sync with the CEO’s vision and plan. In such an environment, it is near impossible to bring in a professional CEO and give him/her the independence to steer the ship. A question often thrown is why we need foreign CEOs in a country that has some of the most talented managers? Specific to aviation, thanks to a legacy of restricted environment, aviation talent is ex-Air India, ex-Jet or ex-Kingfisher. All three airlines have a full-service orientation thus making it difficult for managers to learn the new low fare, nimble operations philosophy of doing business. This is reflected in the airlines’ processes, use of technology and in items like focusing on costs. 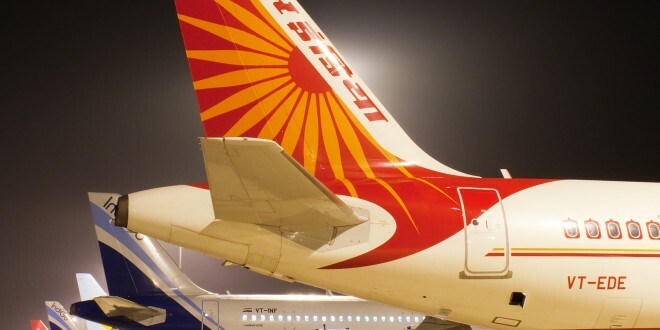 Arguably, legacy carriers especially Air India and Kingfisher have never had the attention and focus on costs that are required in the present day scenario. This is further confirmed with moves such as Jet Airways bringing in its former CEO Nikos Kardasis who is well-known in aviation circles as a hard taskmaster and an extremely cost focused manager. Even where there are adept managers, the largest airline that they have managed is 110 aircraft (at Jet Airways). Air India management is a different ball-game as a Government entity is managed very differently and Kingfisher management is often accused of a lack of focus on cost control. Exceptional mid to senior level talent from Indian airlines also tends to move overseas for a more autonomous and remunerative career, thus limiting the available talent pool and forcing airlines to bring in expatriate (expat) CEOs. The first private airlines experiment saw the quick demise of “air-taxis” like Damania Airways, NEPC Skyline, ModiLuft, East West, and others. Only Jet Airways emerged from the ashes and grew. The market was nascent but Jet had an expat CEO who helped the airline understand the need for planning for multi-million dollar expenditures like engine overhaul. The current revolution started in 2005 with the emergence of low cost carriers. For the first few years most of the startups had expat CEOs. While expat CEOs bring in expertise from previous roles at airlines, the Indian market is very different. One has to be adept at managing various stakeholders (internal and external), managing in a unique distribution environment (travel agents are still very strong in the Indian market) and plan for growth within multiple constraints. Additionally, India is extremely relationship driven as opposed to overseas markets which are process driven. This brings with it its own set of challenges especially for expat CEOs who are trying to manage in a complex market while also adapting to a new culture. In almost all cases, three years tends to be a saturation point at which time expats resign and/or leave due to the pressures or inability to adapt to the market. Indian airlines do not seem to have learnt from their information technology counterparts. While CEO compensation is competitive, globally, most Indian airline promoters do not offer their CEOs equity or stock options. Thus the CEO does not have much skin in the game and this leads to short-term thinking in order to meet the quick profitability expectations of the promoters. The lack of equity also ensures CEOs fail to think as owners and shareholders, and an ability to quickly leave when they feel. In this regard, Indigo managed its CEO compensation well and indeed was able to ensure a 10 year tenure for its CEO Aditya Ghosh; but this is the exception not the norm. Finally there is a lack of succession planning within the airlines. Interviews with industry insiders indicate that there is no clear internal successor or even an internal candidate for consideration for CEO positions. It is alarming airlines are not grooming talent internally, and resorting to fire-fight external hiring which brings with it, its own host of challenges. This also builds frustration within middle and senior management ranks and in turn ties back to the problem of capable individuals pursuing careers in airlines overseas or even to outside the aviation industry. For the foreseeable future, it can be safely assumed that the CEO churn will continue and that Indian carriers will continue to hire expat CEOs. And equally, expat CEO’s will continue to come to India as they are sold on the market growth and potential. Even today, Spicejet and Go Air are still searching for CEOs, and Jet Airways, Indigo, Vistara and AirAsia India have fairly new CEOs. We wish them all the best and hope for a long tenure. As usual, we invite you to share your thoughts on this article via the comments section. Previous FAA expands Boeing 737 engine inspections.